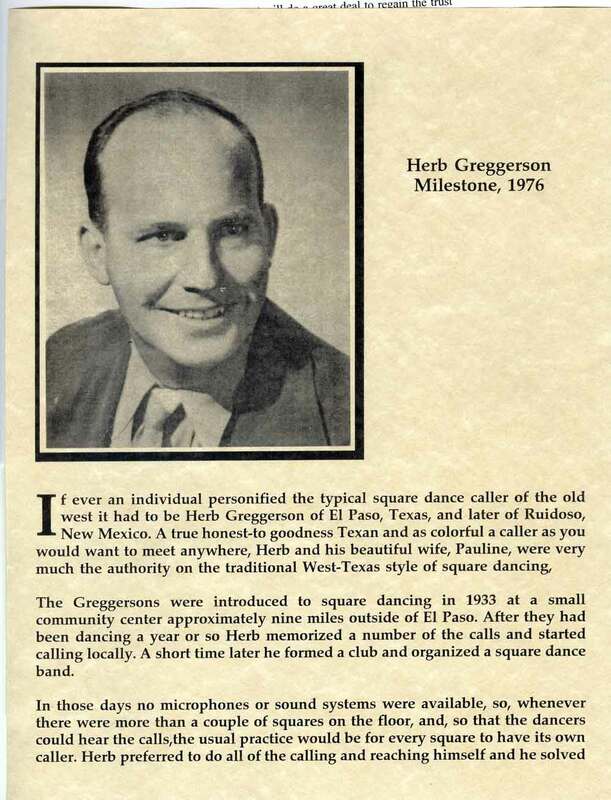 Photograph and the beginning of Greggerson's biography when receiving the Milestone award in 1996. See CALLERLAB for complete information. 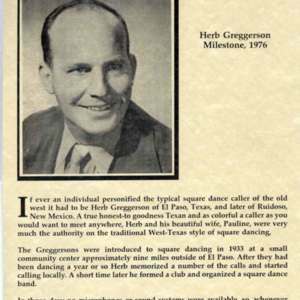 “Herb Greggerson - photo,” Square Dance History Project, accessed April 26, 2019, http://squaredancehistory.org/items/show/489.